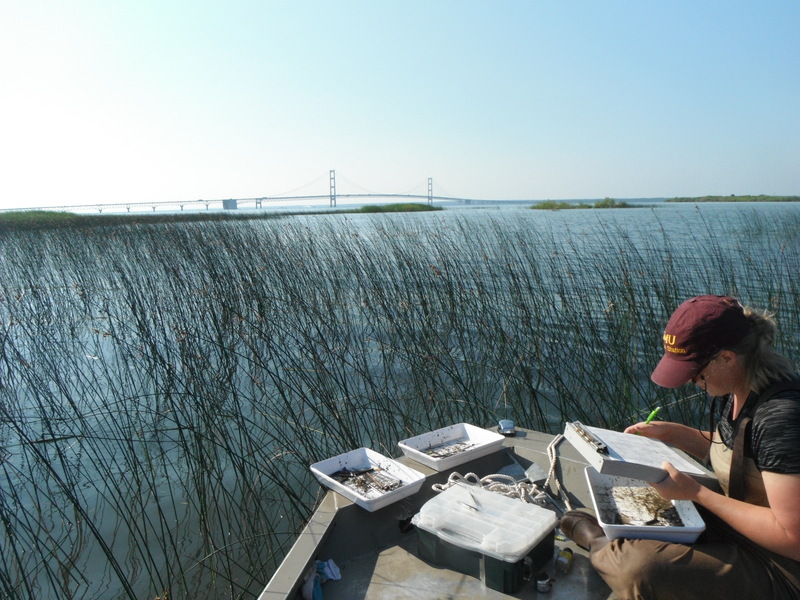 A leading Great Lakes wetland scientist says the recent chemical leak from a pipeline in the Straits of Mackinac was an “eye-opener” that raised his concern for coastal wetlands in the area. 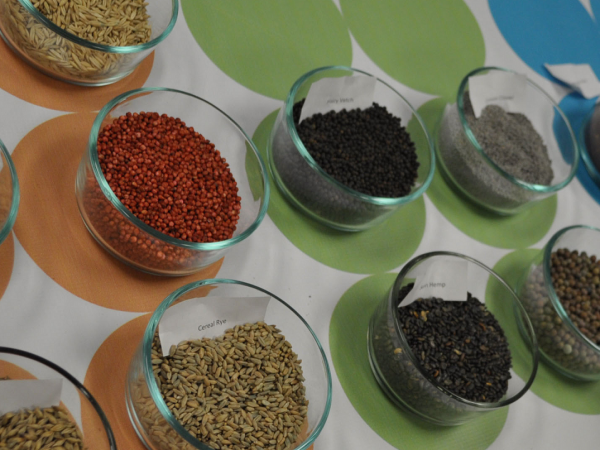 “This time it was a substance that likely poses minimal risk, but next time that may not be the case,” Central Michigan University Professor Don Uzarski told Great Lakes Now. 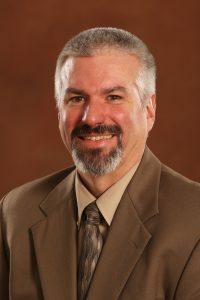 Uzarski directs Central’s Institute for Great Lakes Research where he manages a $20 million region-wide wetland monitoring program funded by the U.S. Environmental Protection Agency. He was referring to the April 4th, 600 gallon leak of coolant fluid from two underwater power lines operated by American Transmission Company. The lines cross the straits near the Mackinac Bridge adjacent to a key coastal wetland. 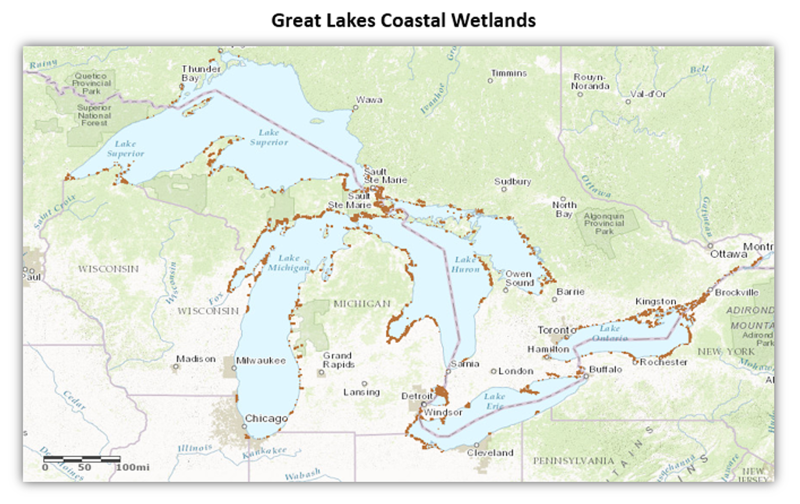 “Over 50 species are solely dependent on coastal wetlands for the entirety of their life cycle,” according to the agency. Coastal wetlands also serve as a filter keeping toxicants and algae-bloom causing nutrients out of the lakes. 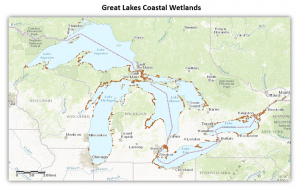 Maintaining existing coastal wetlands is important because the Michigan Department of Environmental Quality says the state has lost 50 percent of coastal wetlands to development since European settlement. That number increases to 90 percent in some areas. After initial reports of the leak, Uzarski said he was concerned about the flow and source of information. The “Coast Guard was acting like it was no big deal,” Uzarski said and he wanted to know where that information came from. 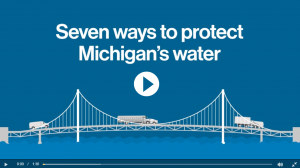 He eventually obtained a chemical analysis of the leaked fluid from Michigan’s DEQ which he said was a credible report. The power line leak was caused by an anchor dropped from a vessel operated by Vanenkevort Tug and Barge, according to Michigan Attorney General Bill Schuette. The same anchor drop is also suspected of denting Enbridge Energy’s Line 5 pipeline that crosses the Straits yards from the power transmission line that leaked. Enbridge says there was no structural damage to its pipelines and no oil or natural gas liquids leaked due to the three dents. 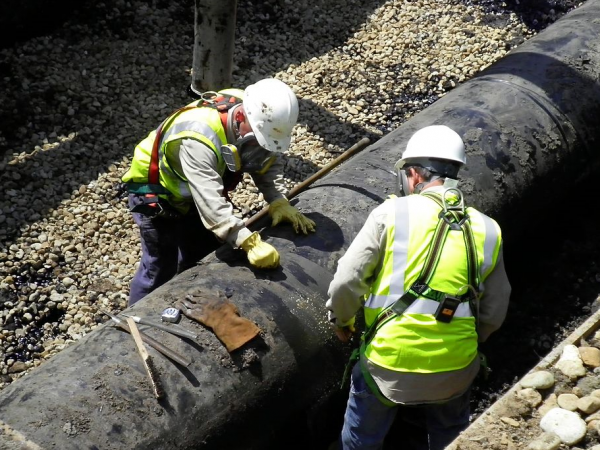 Enbridge and the state of Michigan have been under increasing pressure from anti-pipeline activists since 2013 to decommission the aged line. Enbridge maintains that Line 5 through the Straits of Mackinac can be safely operated and that is a priority for the Canadian company. Michigan has historically agreed but recent events have caused Gov. Rick Snyder to now call for the pipeline to be decommissioned and replaced by an underground pipeline in a tunnel, assuming it could be built without environmental damage. The Straits of Mackinac have been called “the worst possible place” for an oil pipeline leak based on quickly changing and unpredictable currents which make containment problematic. Winter conditions which can be extreme are also a factor. 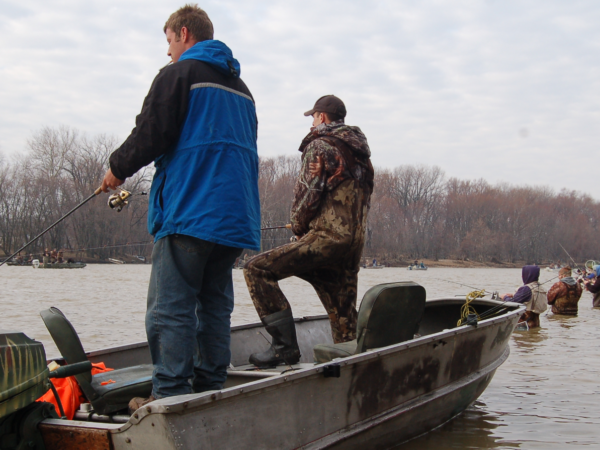 Central Michigan’s Uzarski said he expects Michigan’s DEQ “will do follow-up testing for chemical residue in the Straits” at regular intervals following the leak. The Michigan DEQ did not respond to Great Lakes Now requests to comment on any impact to the St. Ignace wetland resulting from the chemical leak or if follow up water quality testing would be done. Uzarski expects to be hyper-vigilant. “This time, we were likely given a second chance, but we will still monitor for potential impacts from this event,” he said. 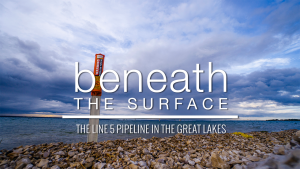 If you missed the premier watch Beneath the Surface: The Line 5 Pipeline in the Great Lakes now.